See full description below photo. 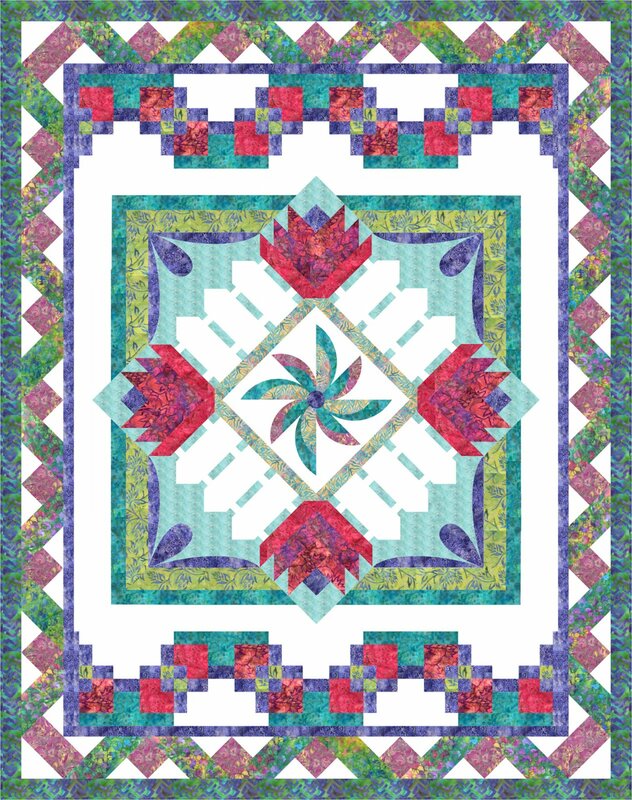 Enchanted Arbor is a fun, colorful medallion quilt designed by Jan and created from beautiful Majestic Batik fabrics. Size is 60" x 76". The quilt is set up as a 6-Month Block of the Month program and includes all patterns and fabric for the quilt top and binding. This listing is for the kit which includes all fabrics for the top and binding, and six patterns. Backing fabric sold separately.